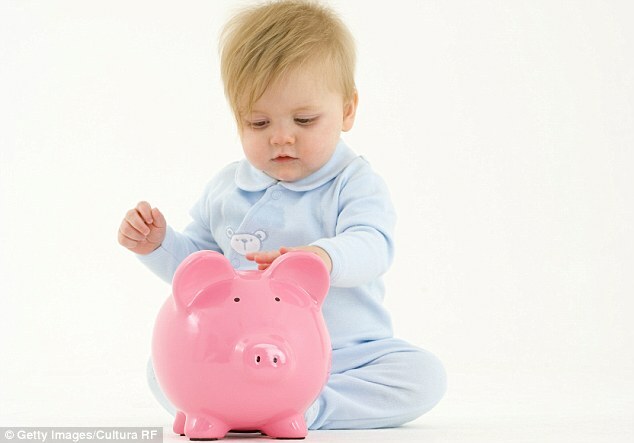 Parents can more than double returns by switching their cash from a Child Trust Fund to a Junior Isa. Moving your cash also means you avoid a potential pitfall when your child reaches 18. Child Trust Fund accounts were launched in 2005 to encourage parents to save for their children’s future. This month more than 75,000 children who were eligible for the account will turn 16, according to OneFamily, the largest provider of them. At this age, children can take control of the fund and decide where to invest their money — although they can’t take it out for another two years. The now-defunct Child Trust Fund scheme gave children born from September 2002 onwards cash vouchers of £250 or £500 depending on the parents’ income. A second payment was given to them when they turned seven. This could be invested in cash or stocks and shares. Parents could top up the account each year by a certain amount. More than six million trust funds were set up. The scheme was scrapped in 2010 as it proved too expensive. Many providers then refused to take transfers, hindering parents who wanted to switch accounts for a better rate. Firms focused on the new Junior Isa, often paying higher rates on these. Money Mail campaigned for years for the Government to let parents move money from Child Trust Funds to the new products. For example, a child with a Nationwide cash trust fund at the time could earn 1.1 per cent (£11 interest on £1,000), but a younger sibling could get 3.25 per cent (£32.50) with their Junior Isa. In 2015, after a two-and-a half year campaign by Money Mail, the Government let savers to switch the money in their trust fund to a Junior Isa. You should encourage your child to move their money now for a better rate. Coventry BS currently pays the best Junior Isa rate at 3.6 per cent, while Nationwide offers 3.25 per cent. OneFamily, which looks after nearly 210,000 Santander Child Trust Funds after the bank handed over the administration of its accounts in 2009, pays 0.85 per cent on balances up to £750, 1.25 per cent up to £1,500 and 1.75 per cent if there is more than £1,500 in the account. Leeds BS trust fund pays 2.15 per cent; at Skipton the rate is 2.5 per cent or 2.25 per cent, depending on the issue. At Yorkshire BS, you earn as little as 1.95 per cent and Britannia, now part of Co-op Bank, 0.8 per cent. You can also still add money to Junior Isas for your child. The current limit this tax year is £4,260, the same as for a Child Trust Fund. Once children turn 18, they can switch a Junior Isa into an ‘adult’ Isa and keep earning tax-free interest. Keeping the tax-free account going could be handy if they want to carry on saving or dip into the money over the next few years for university fees or a house deposit. If their cash is still in a Child Trust Fund, they have to withdraw it before moving it to an adult Isa, and would only be able to reinvest the maximum annual Isa limit (now £20,000). HM Revenue & Customs says it is considering what it needs to do to change the rules, but there is no guarantee it will.